Hampton, Virginia, is a city with an old soul and youthful enthusiasm. It is a Coastal Virginia vacation destination with fascinating sights to see and interesting things to do. Situated in the middle of the Hampton Roads region and the heart of the Mid-Atlantic, Hampton welcomes our runners with charming hospitality and an atmosphere of discovery that you’ll find pleasantly surprising. The closest area airport is the Newport News –Williamsburg International Airport located approximately 15 minutes from the start of the race, which is located at the Hampton Roads Convention Center. Another option is the Norfolk International Airport which is about 30 minutes from the Hampton Roads Convention Center. Hampton is just 3 hours from the Washington DC Metro area and about 3 ½ hours from Raleigh/Durham, North Carolina. Take exit 263-B (W. Mercury Boulevard/Hampton Coliseum) and turn right at the end of the ramp. Continue straight until the first light and turn right onto Coliseum Drive. Go approximately ¼ mile. The HRCC and Hampton Coliseum are adjacent properties. Take exit 263 (Mercury Blvd./James River Bride). Turn left at the end of the ramp (following 258 North) onto Mercury Blvd and continue straight for approximately ¼ mile to Coliseum Drive. Turn right onto Coliseum Drive and go approximately ¼ mile. The HRCC and Hampton Coliseum are adjacent properties. Merge left onto I-64 West. Take exit 263-B (W. Mercury Boulevard/Hampton Coliseum) and turn right at the end of the ramp. Continue straight until the first light and turn right onto Coliseum Drive. Go approximately ¼ mile. The HRCC and Hampton Coliseum are adjacent properties. 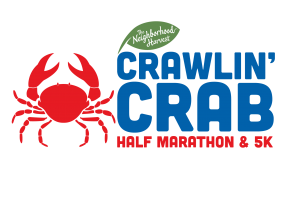 Special Crawlin’ Crab Rates are available at our Recommended Hotels.